Halloween is only a few days away, but you have time to make your home “spooktacular” with these quick and easy tips. 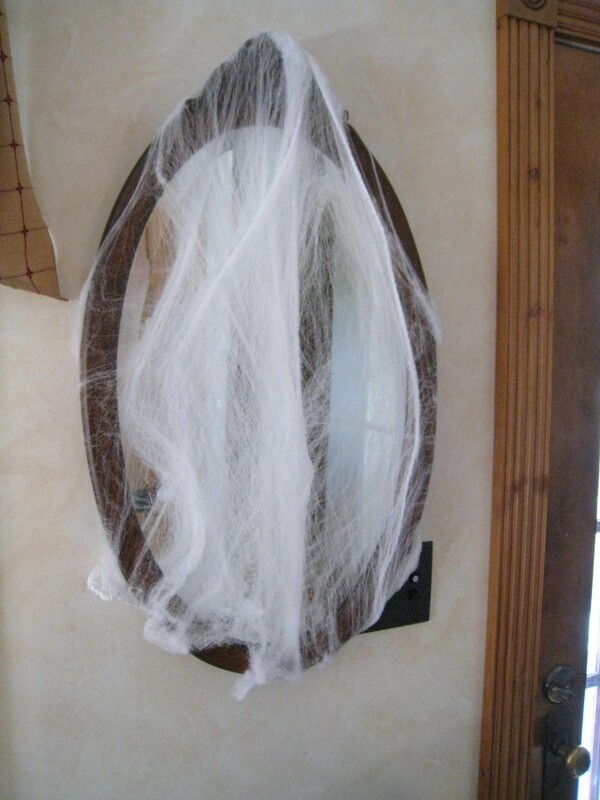 Nothing says haunted house more than cob-webs. 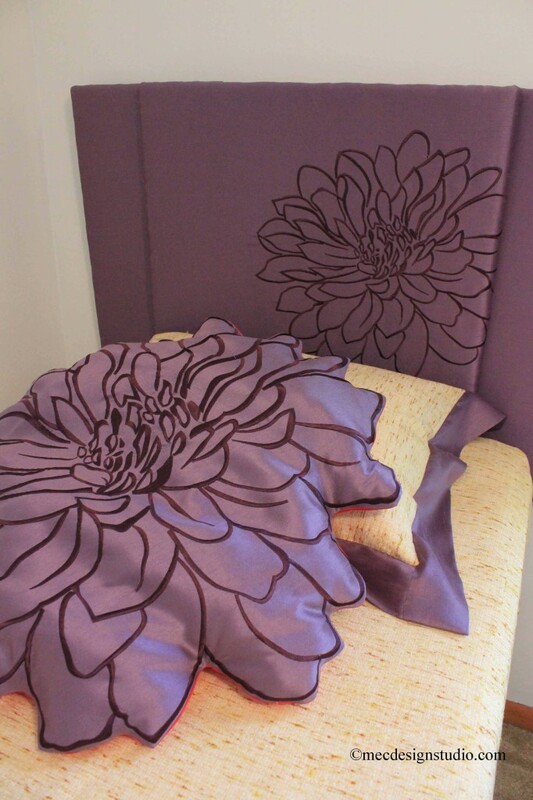 Stretch the fake stuff over an entry mirror. Black lace reminds me of Morticia Addams. I found this shower curtain at Goodwill for a couple of dollars. 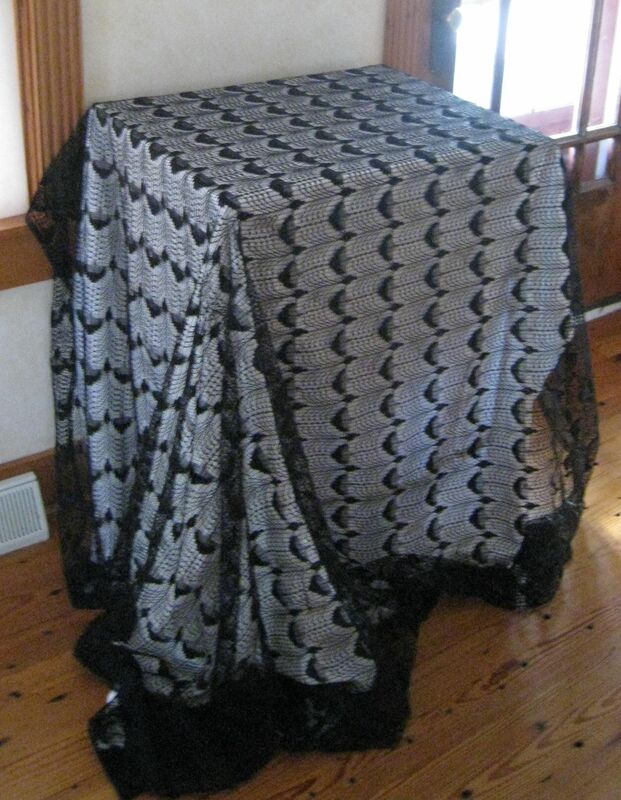 It’s the perfect tablecloth. Create holiday vignettes. 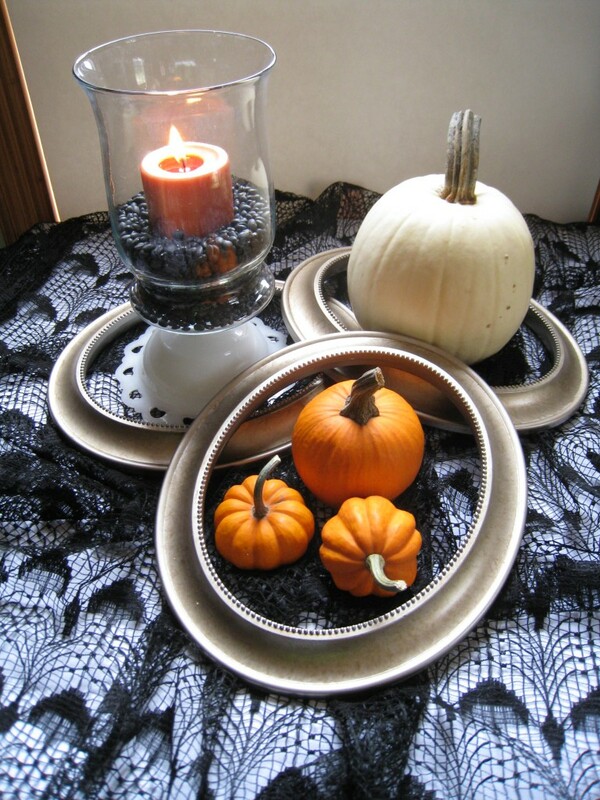 Surround candles and pumpkins with oval frames. 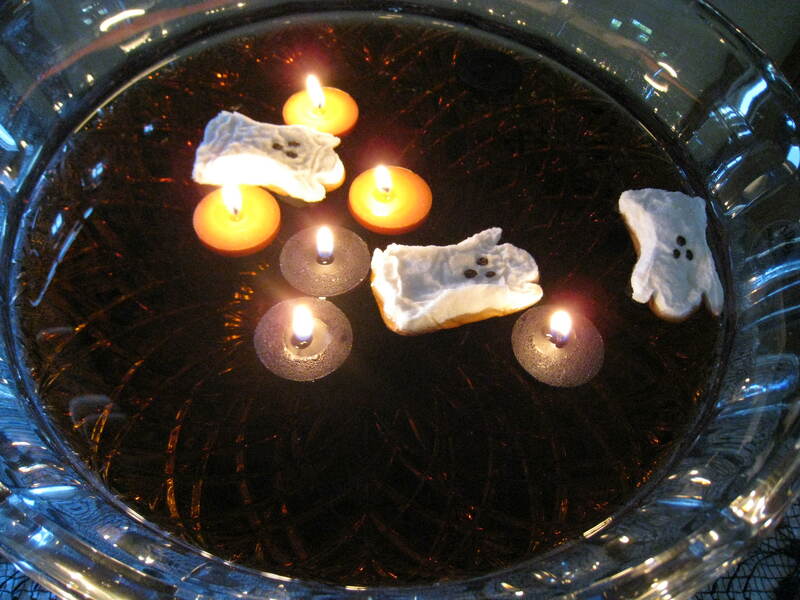 An upside-down candy dish adds height. 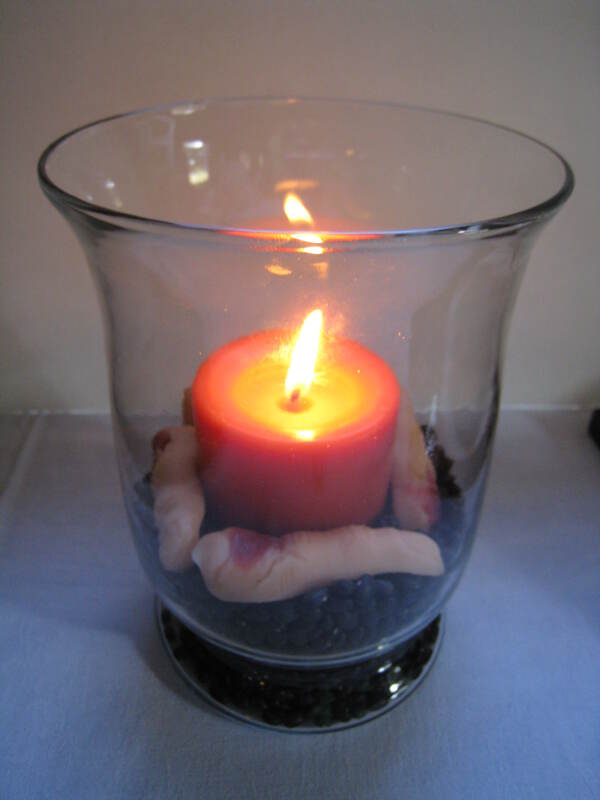 Fill votives with coffee beans to hold candles in place. (They smell good too!) I planted “fingers” to freak out guests. Finally, float candles and marshmallow Peeps in a big bowl of punch. Be sure to blow out the candles before serving! 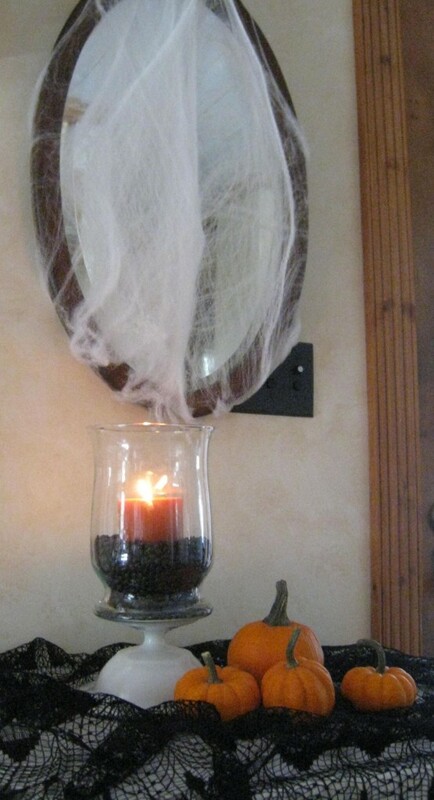 I would to hear how you decorate for Halloween. Send me photos! You are an inspiration. I just always love the ideas in your newsletters!!!! Congrats on the TV show in Chi town-next thing we know you’ll have your own show!!! Have a happy Halloween! Your Halloween tips are pretty awesome.